Easyway Consultancy Pvt. Ltd. is an organization engaged in promoting various colleges and universities all across the globe. We recruit almost 1000 students every year to all countries from India and Nepal. We are a registered immigration firm and have all rights in India. Moreover, we have a wide network of agents in different parts of India as well as in Nepal. Nowadays with good fortune, our company has a team of 15 members in the staff along with best experience in overseas education. Our services also include international tourism, air ticketing, career counseling and keeping the hold on a great success rate in the market. 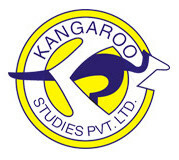 We also have an institute of IELTS, Spoken English, GRE, GMAT, TOEFL and PTE. Regarding countries represented, we are in tie-ups with numerous renowned institutes in the United States of America, New Zealand, Canada, Australia, Republic of Ireland, Singapore and South Korea. EduWorld works to help students hoping to study aborad through every step of the way—from choosing programs and schools to planning viasas and funding. The agency was formed by two individuals who studied abroad themselves and, due to this, the agency prides themselves on their sensitivity to students’ needs, supplying accurate and complete information to their customers. 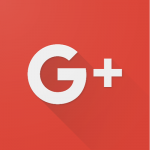 They work hard to provide the best service possible. 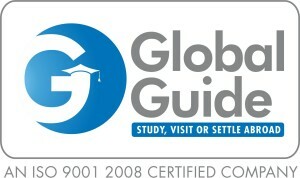 As one of the World’s successful Immigration and Education companies, Global Guide is built on a legacy of delivering excellence through in-depth knowledge, world-class infrastructure and comprehensive resettlement packages consisting of study, immigration, travel and settlement services. Global Guide has qualified immigration lawyers, accredited immigration consultants, ex-immigration officers and experienced counselors to help our clients secure visas, guaranteeing our rate of success continues to be excellent with the highest levels of service. Here at Global Guide, your personal and professional needs are kept into consideration before recommending a visa for you. We offer students a choice of thousands of courses at various leading educational institutions in Australia, Canada, New Zealand, United Kingdom, Europe, Singapore and United States of America. With ample experience, world-class infrastructure and state of art technology, you can expect service beyond expectations from us. We give one stop solutions to people interested in settling abroad. Global Guide is committed to being most effective service provider in the immigration field with a passion to be successful every time, in every case, thereby ensuring total customers’ satisfaction. Global Guide is a company headed by professionally qualified and licensed consultants to handle all our clients’ needs to study, work or settle abroad. Our goal shall be to ensure our ability to meet the demands of our clients and our commitment to be a leader in immigration services across the globe. We assist our clients to turn their dreams into reality and bring them everlasting smiles. Global Guide is committed to serve its clients with high standards and ethics as laid by the law or governing bodies, embassies or institutions. We endeavour to work within a corporate culture that values customer satisfaction, accountability, problem solving, integrity and confidentiality. To achieve our vision, we have a workforce that is increasingly skilled, motivated and committed to dynamic leadership. We’re responsive to social responsibilities and shall initiate and contribute our part to any efforts to make this world a better place to live in. Provide unparalleled service to gain clients’ trust and satisfaction. Build up strong network in source countries. Updated knowledge of changes in immigration laws and international student recruitment policies. That is why Global Buide promises to hold the hands of young and ambitious immigration aspirants, students, professionals and migrants and help them walk their way to success. “Honesty, Sincerity, Quality” is our motto. Our mission is to fulfill the aspirations of our students with sincere and honest efforts. Founded by Pankaj Sethi, a leading overseas education consultant, to help guide you about several universities and colleges around the world. We have won the hearts of countless students by delivering them quality and honest services. The happiness on their faces is our reward. Student Visa, Visitor Visa, Tourist Visa, Canada Immigration. IELTS Premier Institute, Embassy Interviews, Spoken English, P.Ds, G.Ds, P.Is. Tour Packages: Domestic and International available. Airline ticket on genuine cost available. Singh Foundation offers a unique perspective on foreign exchange and education travel. Their team is managed by young but highly qualified individuals from some of the most reputed institutions in India. Singh Foundation works hard to provide professional, ethical, and quality services by partnering with colleges and universities around the world and ensuring up-to-date information for their clients. Sophiya Consultants established in 1997 to provide quality education to students wishing to study in New Zealand, Australia, and Canada. Offering full support for studying abroad, their careful attention to each case has earned the firm Best Education Consultant in Patiala, Chandigarh, Punjab, and India. Sophiya Consultants covers every detail, from attaining Visas to finding a place to stay as well as career guidance, test preparation, and a number of other services to help students on their way. Focusing on overseas education, the Valmiki Group was established in 2001 by leading professionals in the field. They have since become an internationally recognized support system for students seek education abroad. The Group works to provide the highest quality services available, to satisfy their clients’ needs, and to deliver exceptional value by means of their specially recruited and motivated staff. They offer coaching for many of the standard tests including the GRE, IELTS, TOEFL, GMAT, and SAT as well as seminars in other relevant areas. Valmiki Foundation celebrated their 6th Annual Event coinciding with the 2nd Anniversary of Valmiki Hriday (a home for deprived and underprivileged children) on June 22, 2013. 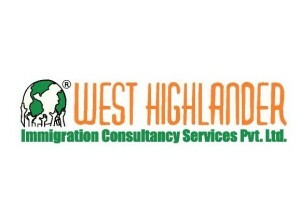 West Highlander is a professionally managed Organization, having business sourced from all over South Asia. We represent more than 150 world class Universities/Colleges in 6 Countries. Our main business areas are – Study Abroad. We provide exclusive and world class Education Information Services. 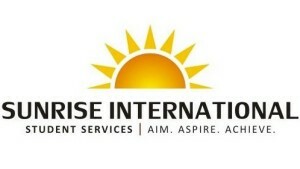 We have a team of qualified professional having rich experience in Education & Immigration Industry. We aim at providing solutions and guidance to our clients pertaining to issues like, Course, University/College Selection, Admission, Visa Services, Travel, Accommodation Services, Pre-landing Orientation & Post Landing Support.